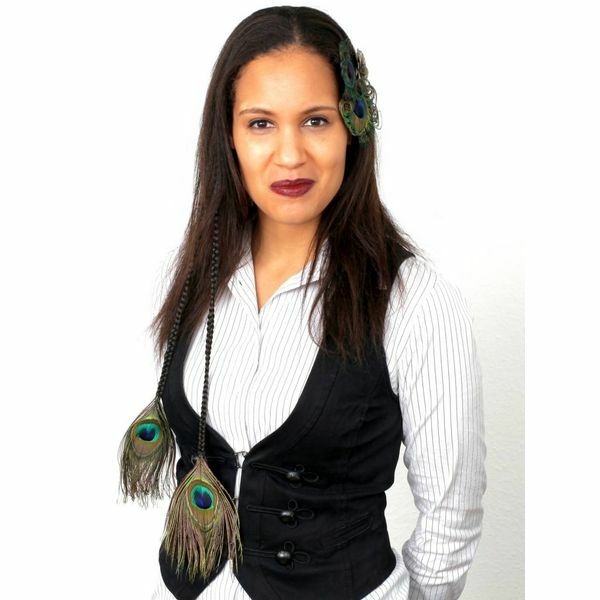 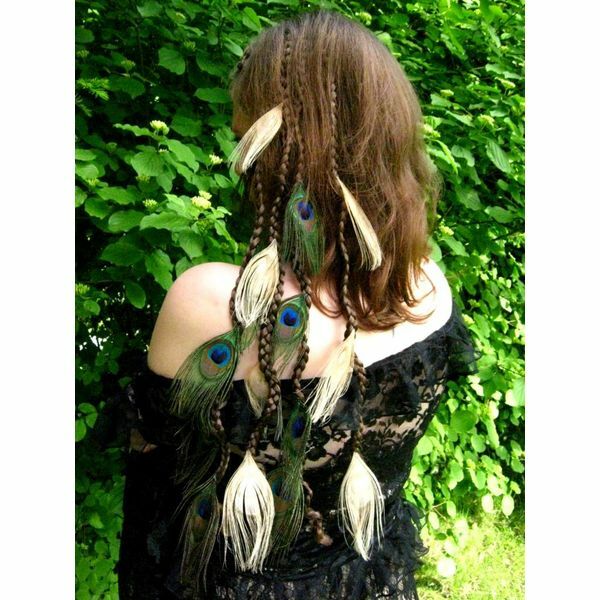 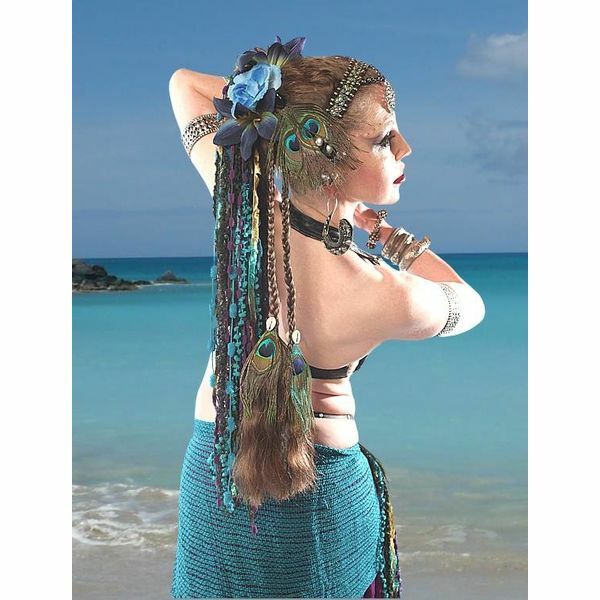 Peacock feather clip in extensions are perfect hair jewelry for weddings,larp, cosplay, gothic, steampunk... 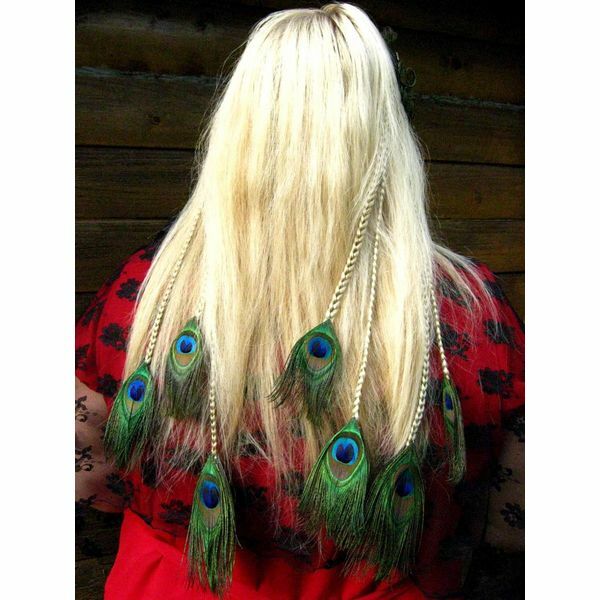 Wear these hair pieces in long and in short hair! 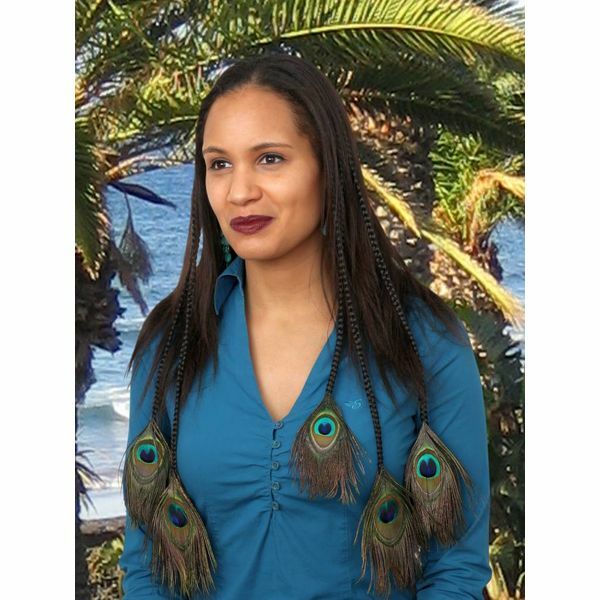 Peacock feather extensions by Magic Tribal Hair are wonderful eye-catchers in long and in short hair! 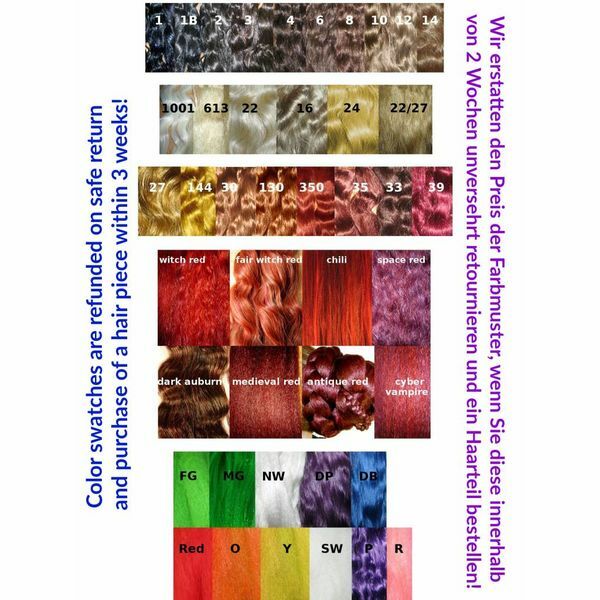 Your own hair must be minimum 5 cm/ 2 inches long to attach these extensions properly. 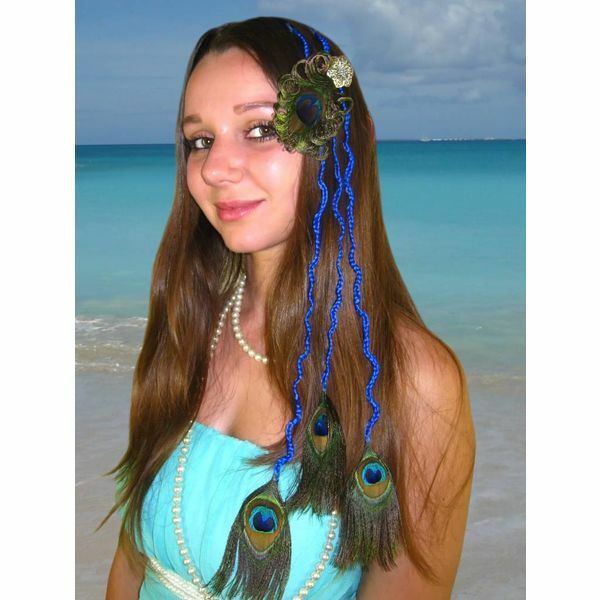 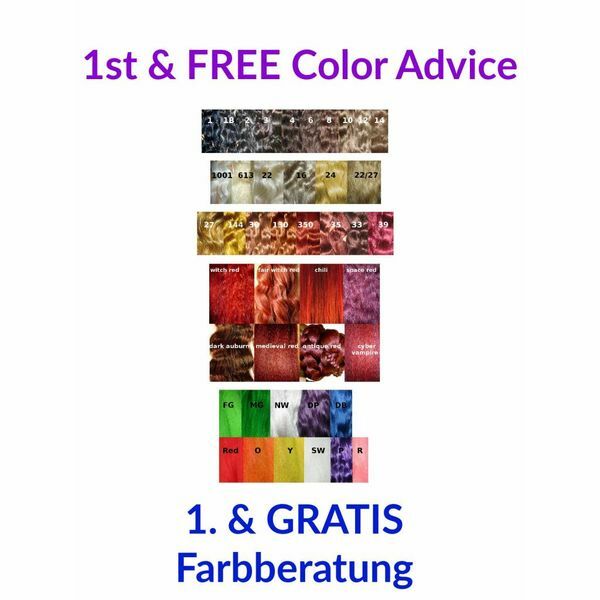 We make all peacock feather clip extensions to order as a custom-match to your hair color or in a contrastive color - just as you like it! 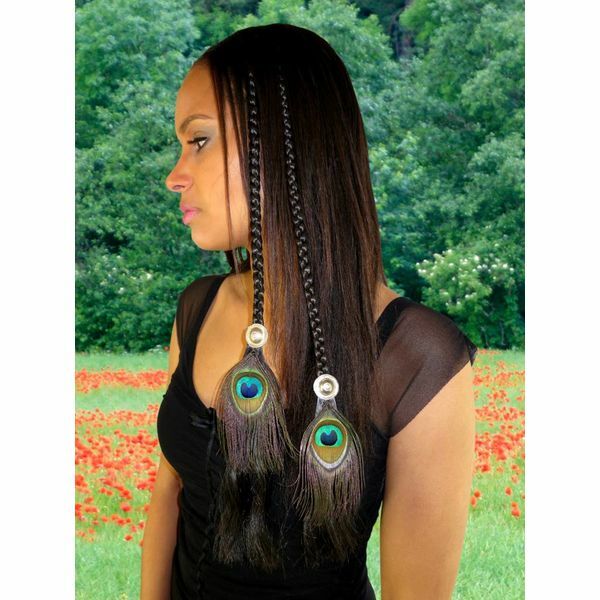 Most of them are available with straight and wavy braids. 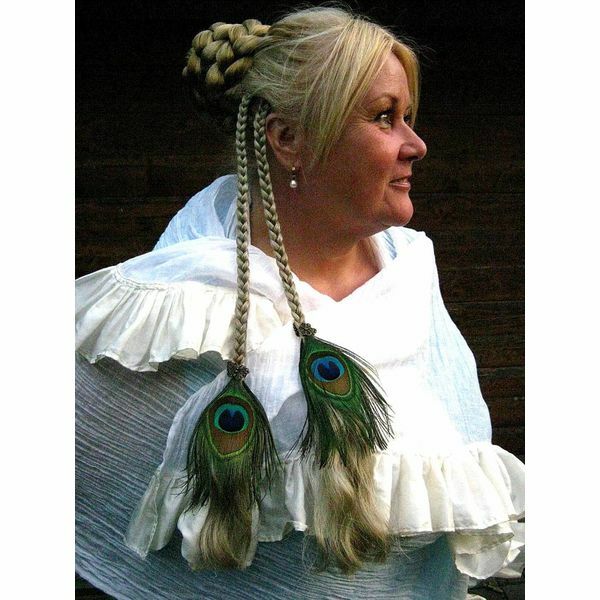 Choose between extensions with feathers all over or with double peacock feathers (no backsides!) 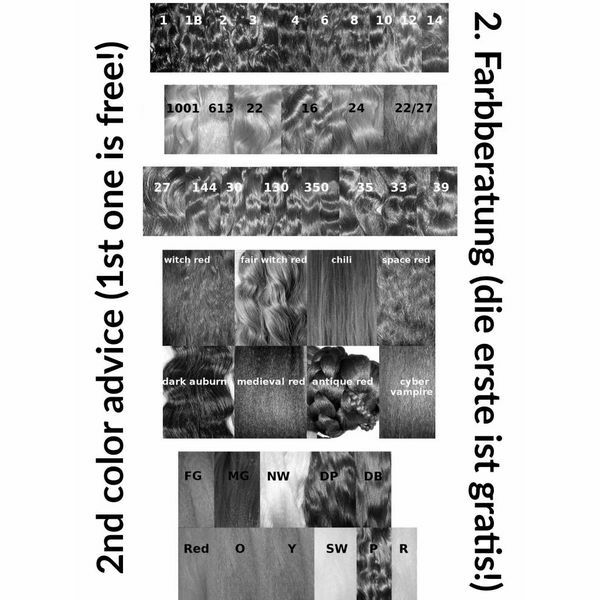 at the ends. 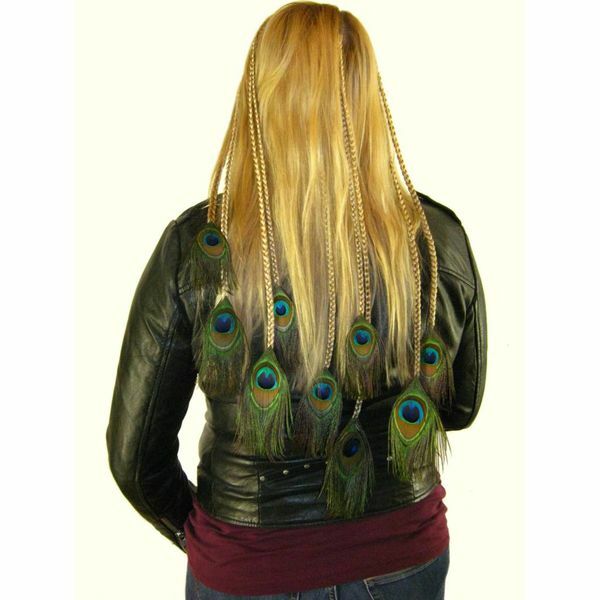 Many models are also available with fair feathers. 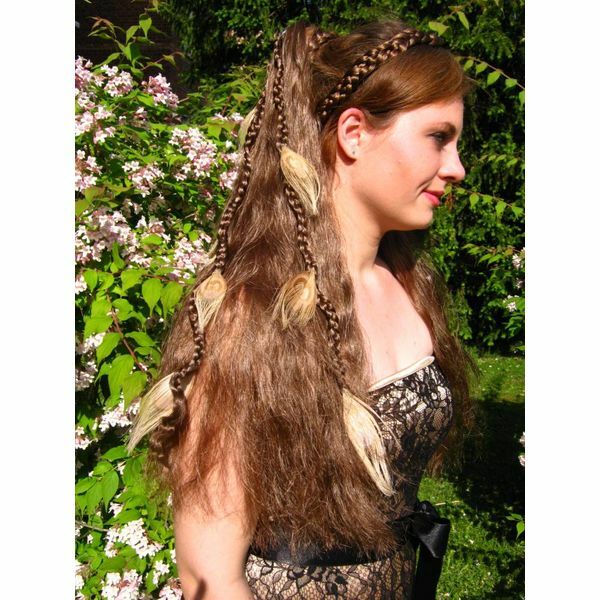 These are especially popular for weddings - perfect bride hair jewelry. 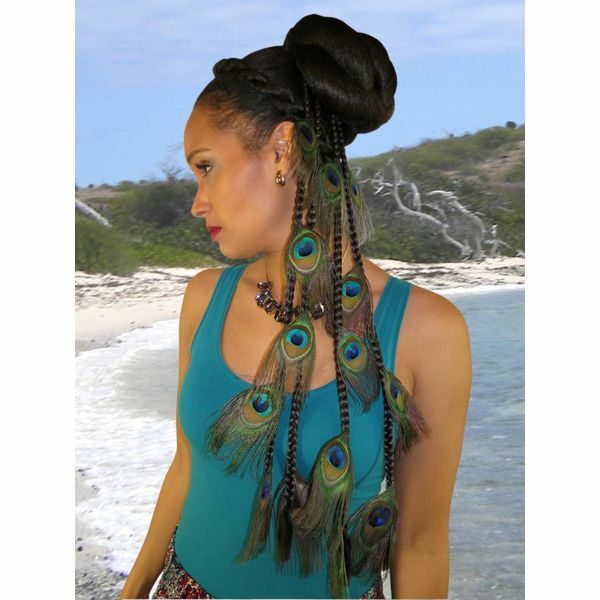 Naturally peacock feather extensions by Magic Tribal Hair can be added to hair falls, yarn falls and dread falls by Magic Tribal Hair, too! 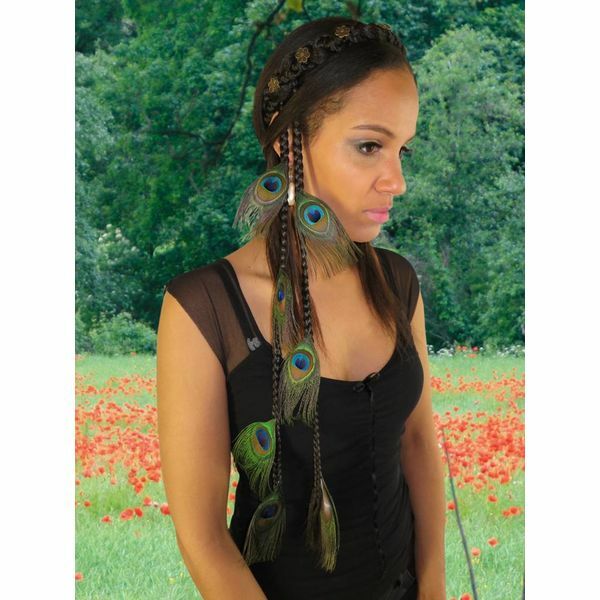 Last but not least peacock feather extensions are gorgeous eye-catchers when worn in combination with a bun or updo, a braided headband or attached to the side of your head next to a hair fall, yarn fall or dread fall!